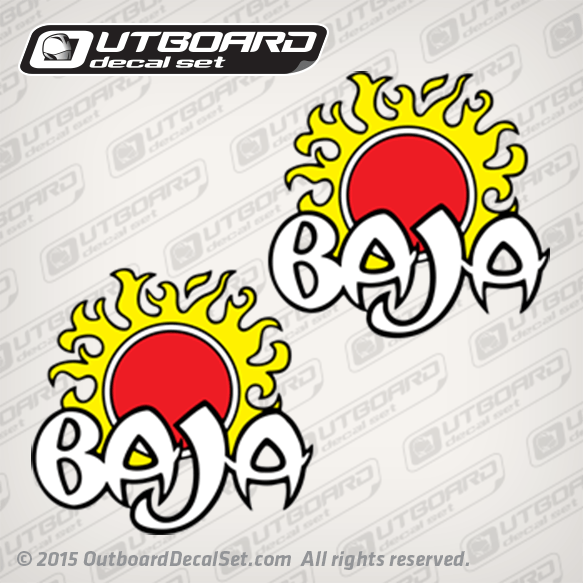 Baja SunBurst decal set replica for 1985-1988 Boats. As seen on late 80's/ early 90's 240 Sport Baja Racing models. Available in Red or Orange. Price Vary in Size.